Running a business means keeping one eye on day-to-day operations while looking ahead to the future. Financing may be part of the plan if your long-term strategy is growth-focused. For example, buying equipment in the next year might be on your agenda. 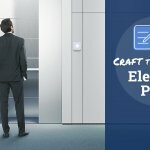 Or you may be planning to renovate your business premises once the busy season winds down. When time is on your side, you have time to prepare and plan before you need financing. Looking ahead can help increase your odds of getting approved for financing. It also allows you to compare borrowing options. As you contemplate your next round of financing, here’s what you can do to prepare. The first step is figuring out how much you’ll need to borrow to fund your goals when it’s time to get financing. Having an accurate estimate of how much your next project will cost can keep you from borrowing too much or not enough to see it through. Aside from that, knowing how much financing you’ll need can help you plan your budget and cash flow for repayment. Any financing you take on for your business should be affordable on a monthly basis and should not create an undue strain on your cash flow. Also, the return on investment must be factored in. If you’re planning a large-scale project that requires more funding, such as opening a second business location, consider how much added revenue that would generate. Ideally, an increase in sales would help offset a potentially higher monthly payment. But if that additional revenue may take time to realize, you’ll want to make sure your business can afford the payments in the meantime. 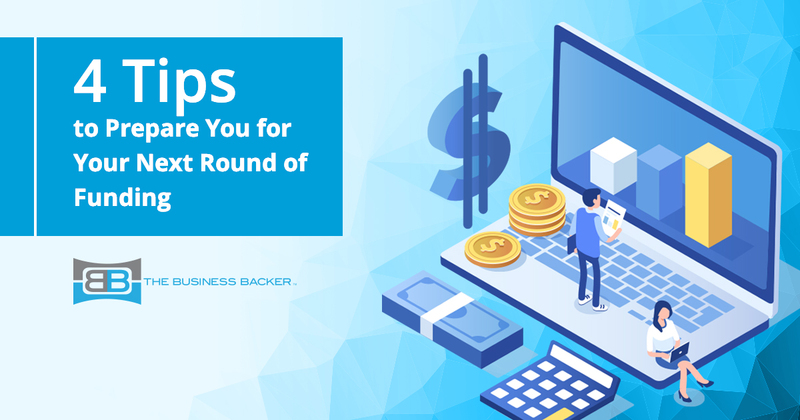 Business financing can take many different forms, and it helps to know what options you have as you plan for the next round of financing. The good news is that there are plenty of financing avenues to choose from. Some of these financing options are designed for specific use-cases. Equipment financing, for instance, could be a go-to choice if you’re buying heavy equipment for your construction business. The equipment itself usually serves as collateral and you may be able to finance up to 100% of the purchase. Merchant cash advances and invoice factoring are typically associated with short-term funding needs, such as meeting payroll or covering overhead expenses. These financing options leverage your future credit card receipts and your outstanding receivables respectively. If you’re borrowing for growth, a business line of credit, SBA loan, or term loan could be the better fit. Revolving business lines of credit offer flexibility; you get a set credit limit that you can borrow against as needed. You only repay the amount you borrow, making it similar to a business credit card. The difference is that a revolving line of credit may offer a lower interest rate and a larger credit limit. SBA loans are geared toward business owners who aren’t able to secure financing elsewhere. The 7(a) loan program, for instance, offers a generous borrowing limit of up to $5 million. The SBA looks for strong revenues and at least two years of operating history so newer businesses may not qualify. 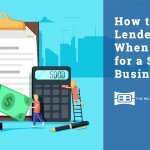 The loan approval and funding process are also slower, typically taking 30 to 90 days, so an SBA loan may not be a good fit if you’re looking for a faster pace. Term loans provide a lump sum of funding that’s repaid over time. These loans may have a fixed or variable interest rate. If you can’t qualify for an SBA loan, you may find success with a term loan. Borrowing limits are lower compared to SBA loans, however, generally maxing out at $500,000 to $1 million. If you have an idea of which type of business financing you want to apply for, the next step is making sure you’re in a position to apply for a loan. While these aren’t the only factors a small business lender may consider for financing, they tend to be the most important. Lenders want to know that the business they’re loaning money to has the capacity to repay it. Checking your credit scores and preparing key financial statements, such as a balance sheet, profit and loss statement, and cash flow statement, can give you an idea of where your business stands financially. Look at how much debt the business is carrying and how much cash you have available monthly to commit to repaying new debt. And consider how much cash the business has in reserve if your cash flow undergoes an unexpected dip. Also, be aware of whether the lender expects you to offer collateral for a loan or sign off on a personal guarantee. If collateral is required, you may need time to take stock of which assets you’d like to pledge. Financing can help your business grow but don’t jump in without doing your homework first. Use a business loan calculator to estimate your payments and the amount of interest you’ll pay for a loan. Before signing off, take time to understand the interest rate, as well as any fees you’ll pay. If the lender charges an origination fee, that can add to the cost of financing. And if you’re motivated to pay your loan off ahead of schedule, you’ll want to be sure that doing so won’t trigger a prepayment penalty.